All lessons are individually structured with your learning requirements and capabilities in mind. Structured Lessons carefully planned by me prior to each lesson. Printed Handouts with step by step instructions for all maneouvres. 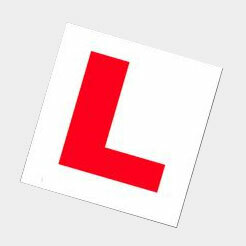 Mock practical tests – very useful nearer to your test date to highlight actions needed. Drivers log book – where we record your progress to highlight improvements made and areas that need attention. The log is your personal record of progress made and is also useful to the person helping you with any extra practice.